How do I use the 24sessions app? Our mobile application "Videochatby24sessions" is available to download for free at the App store and Google store. The application is available for use by guests only and not users and can be used via smartphone or tablet. 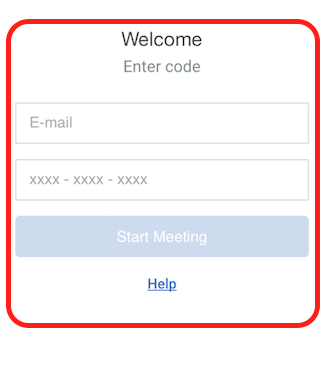 To enter a meeting via the mobile app all you need is to enter your email and the meeting code. PS: Chat isn't available on mobile.